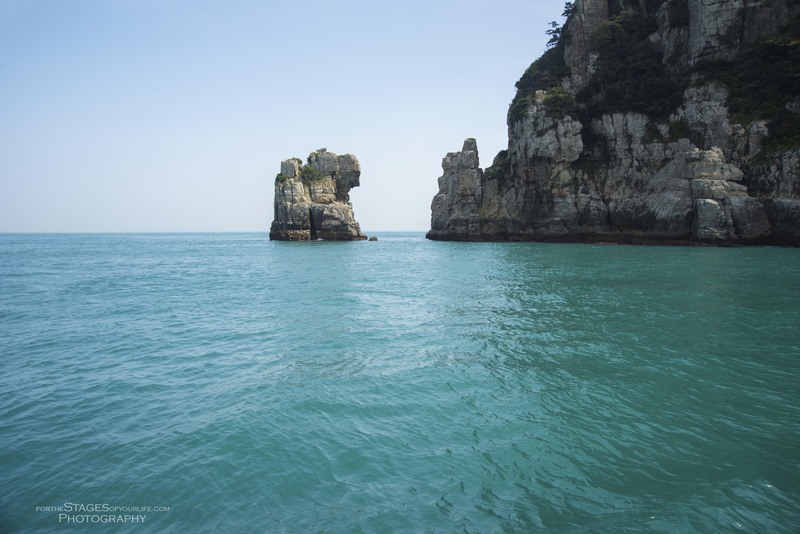 On the second day of vacation we headed to Haegeumgang (Shipgagul Cave) which is located on Geoje Island just off the southern coast of South Korea. Geoje Island is Korea’s second largest island following Jeju. I really wanted to see this sea cave because I’d read that the water is the color of Tide detergent and tour boats take people in an out of it with ease. An aerial view of the cave shows that it is shaped like a cross, which is what Shipgagul means. 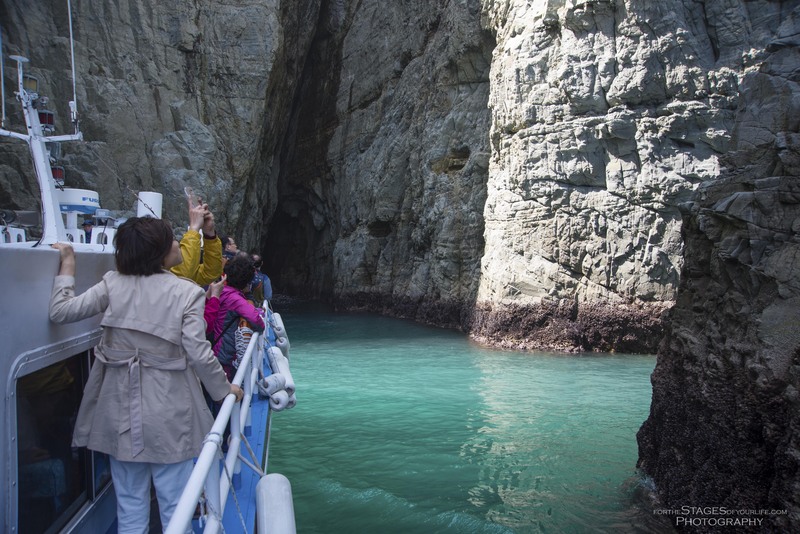 Tours to Haegeumgang are actually just a quick stop on the way to Oedo Island, which I’ll post about tomorrow! The inside of the cave. Check out the color of that water! 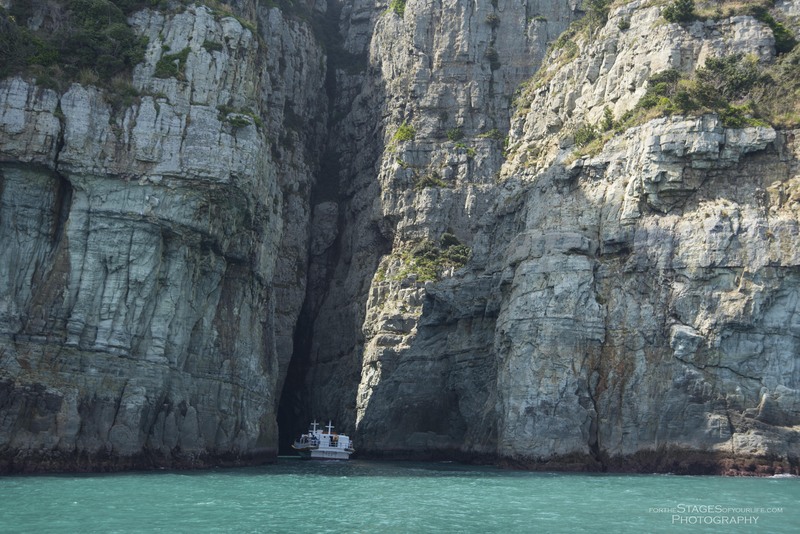 I wanted to show you this photo so that you can see the size of the cave in relation to the tour boat. This is a boat that went into the cave just after we left. Oh the water!!!! So pretty! Thanks so much! It’s a really neat place!